We’d love your help. 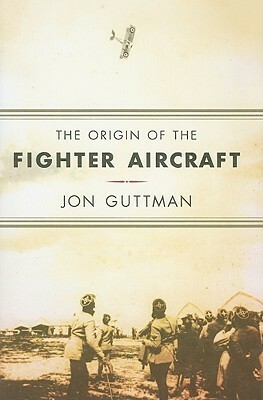 Let us know what’s wrong with this preview of The Origin of the Fighter Aircraft by Jon Guttman. When World War I began in August 1914, the airplane had already proven its worth as an intelligence gathering "eye-in-the-sky." Aircraft soon became indispensable to armies on both sides, and the attempt to drive enemy planes away began in earnest. Local air superiority was incorporated into battlefield strategy, and the use of aircraft to conduct offensive operations would change warfare as dramatically as the first firearms 300 years before. In The Origin of the Fighter Aircraft, historian Jon Guttman tells the engrossing story of how one of the most amazing inventions became an integral component of warfare. The first true fighter plane whose primary function was to destroy enemy aircraft--whether scouts, balloons, bombers, or other fighters--emerged at the end of 1915, and with it a new glamorized "knight of the air" was born: the ace, a pilot who brought down five or more opponents. From 1916 on, as the combatants relied on airplanes more, flying tactics and strategy, including mass formations, were developed for what would become a deadly struggle for complete air superiority. By 1918, the final year of the war, air battles could be as sprawling as those on the ground. Balancing technical description, personalities, and battle accounts, and heavily illustrated, The Origin of the Fighter Aircraft reveals that by the end of World War I, most of the fundamentals for modern aerial combat had been established. To ask other readers questions about The Origin of the Fighter Aircraft, please sign up. Again a short review ... there are plenty of in-depth ones online readily available and I'd just be retyping what they've said. The missing star is for a fairly poor writing style. Sentences are at times incoherent and really this book is a bit of a chore to get through because of it. It is considered an important WW1 aviation book but really, the writing is just not up to a standard that any 'classic' should be saddled with.